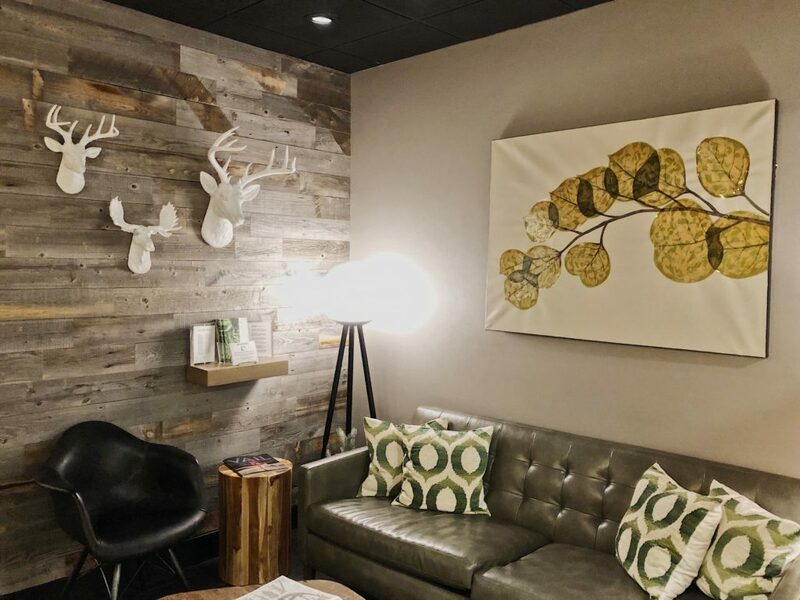 One of the best parts about living in Colorado is the ease of booking getaways. The mountains are just right up the road and when it is time to let loose, all you have to do is book a hotel in the hills and head up on a Friday after work. 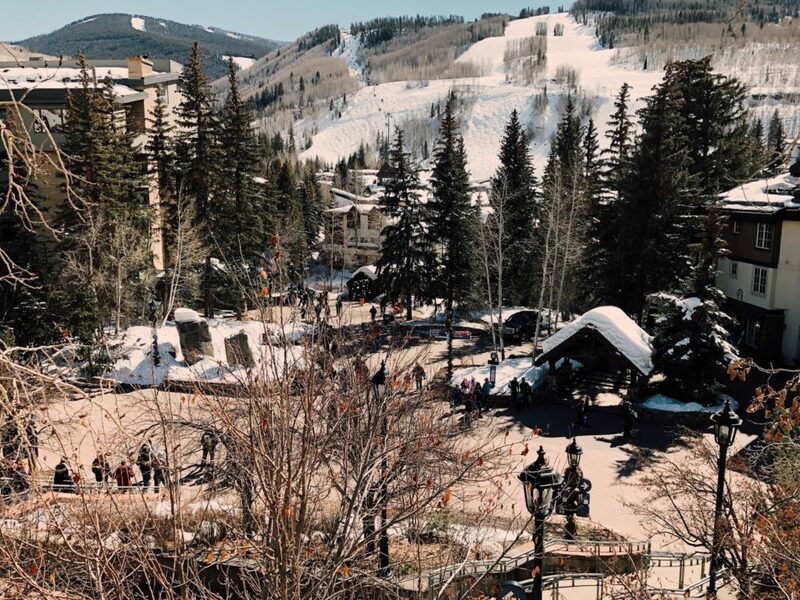 There are many destinations to plan a Colorado staycation, but one of everyone’s favorite spots is Vail, CO. 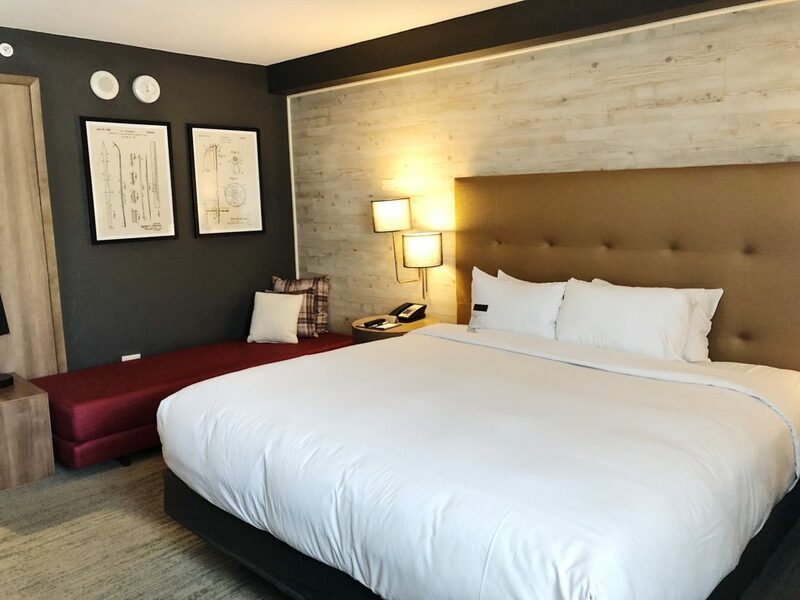 I decided to head up and enjoyed a stay at an easily accessible and amenity abundant hotel called DoubleTree by Hilton Vail. 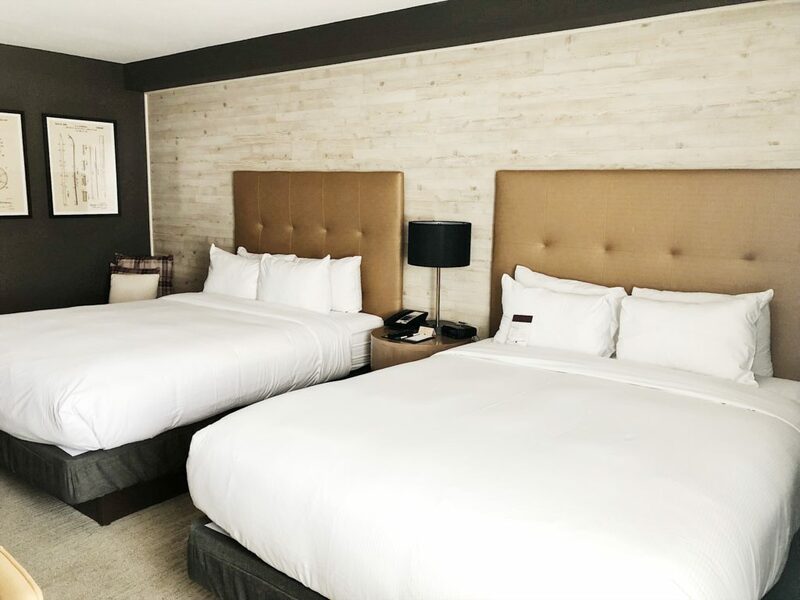 Just an hour and forty-five minutes into the mountains, the DoubleTree by Hilton Vail is easy to spot right off the highway. When you pull in you will be greeted with wholesome smiles and welcoming salutations. You have the option to valet or park your car in the lot. The luxury in valeting your vehicle is most prominent in the cold months. The valet attendents will scrape any snow off of your car and have it warm and ready for you to drive, even in the thick of it. 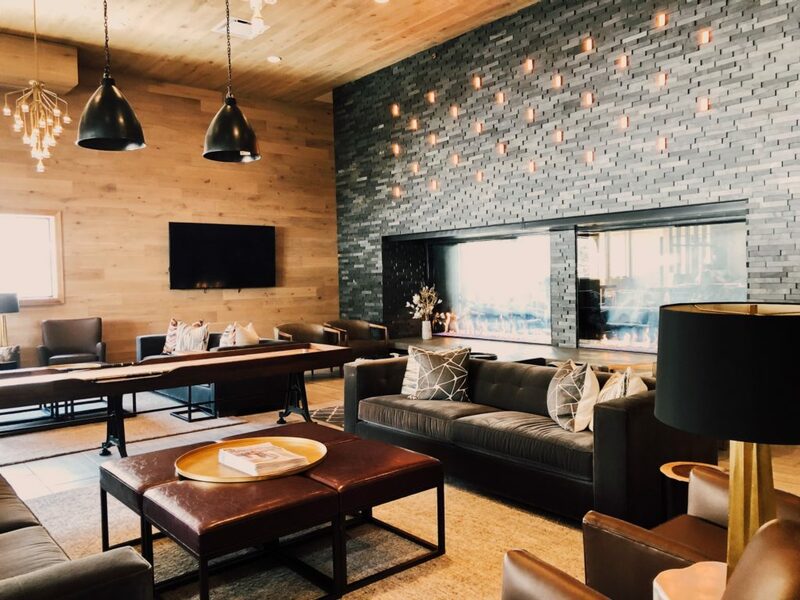 Once you enter, you will feel right at home with the big fireplace to your left, with ample seating and a shuffle board to take you back to your college days, as well as additional seating to your right. 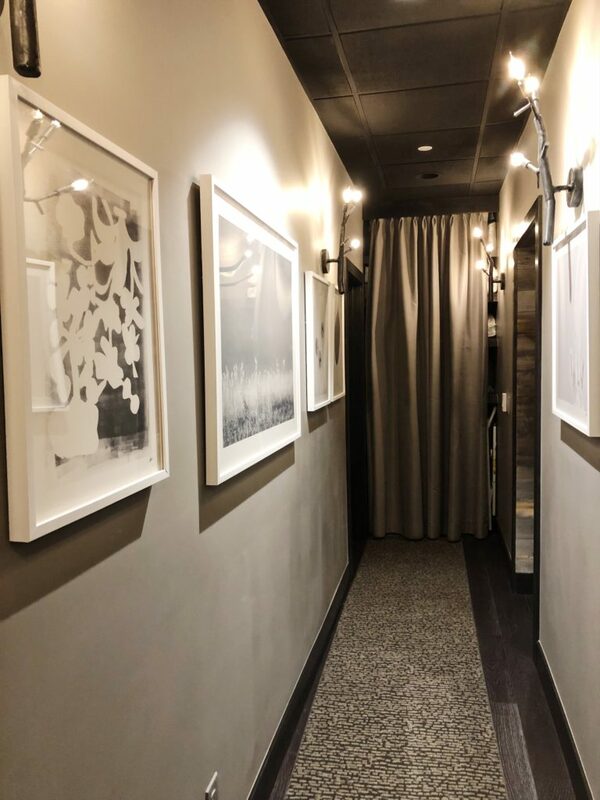 The staff is extremely nice and will give you the lowdown upon arrival and sweeten the experienced with cookies that are hot and fresh out of the oven. Next you will make your way to your room to relax. This hotel is suited for any size party. Their rooms range in space and sleep accomadations. For 1-3 people you can enjoy the King Suite. 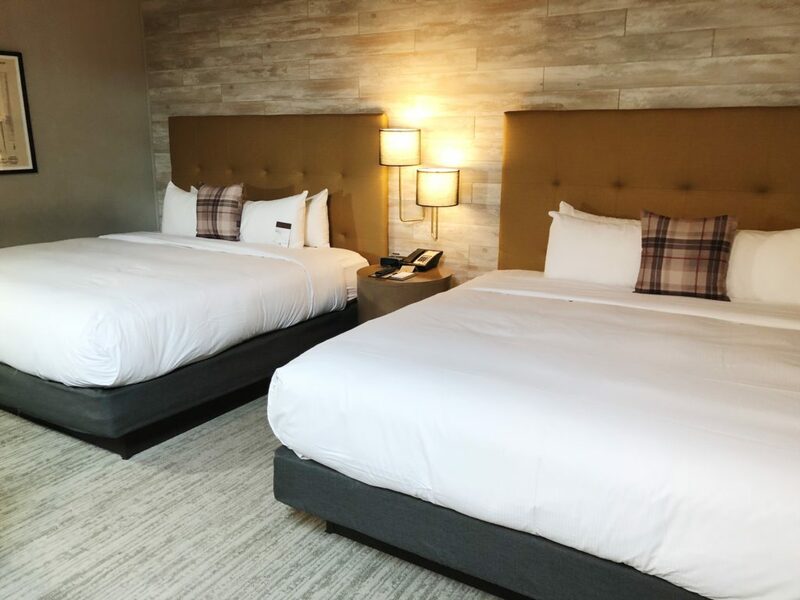 This room has one king bed and a couch/futon that is perfect if you are bringing a child along. 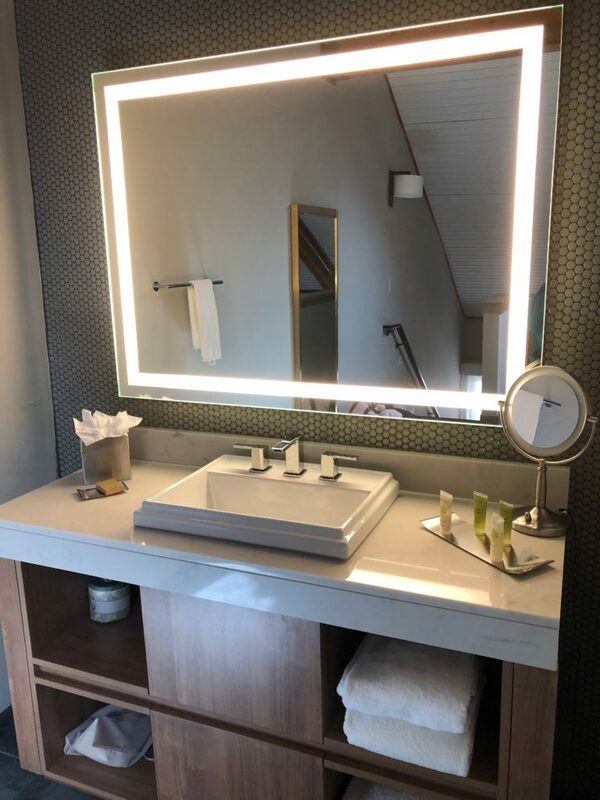 The Two Queen Suite has two queen beds, storage for skis and clothes and a bathroom complete with a tub. This is the closest to a standard size room and can sleep 1- 4 people. 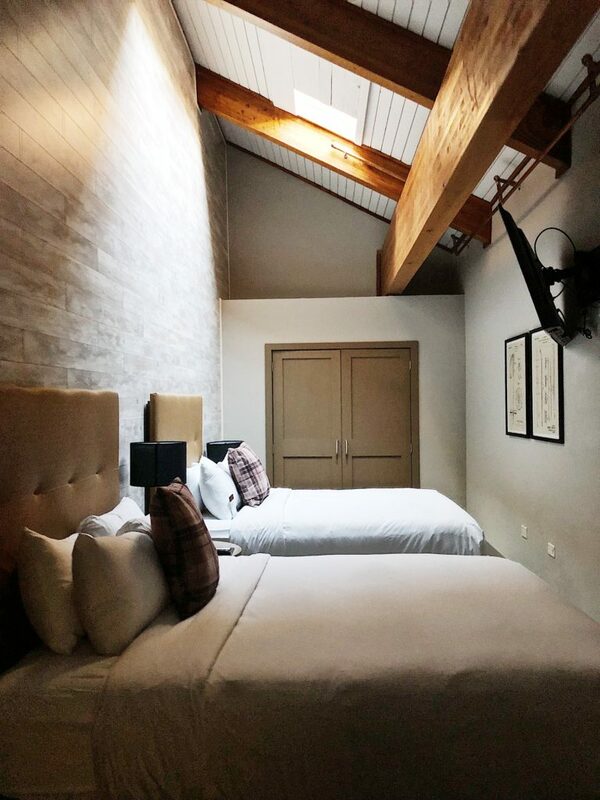 The Two King Loft Suite is a spacious room that allows plenty of room for a number of guests. The main floor has a full-size kitchen, bathroom and living room with a fireplace. The couch in this lounge area is a full bed pull out couch that could sleep two. When you make your way upstairs there is another bathroom, a spacious closet, and a second pullout couch. The bedroom has two large king beds side by side. This is a condo like room and offers plenty of sleeping room for 1-8 people and is a perfect place to have a family vacation with the kids. 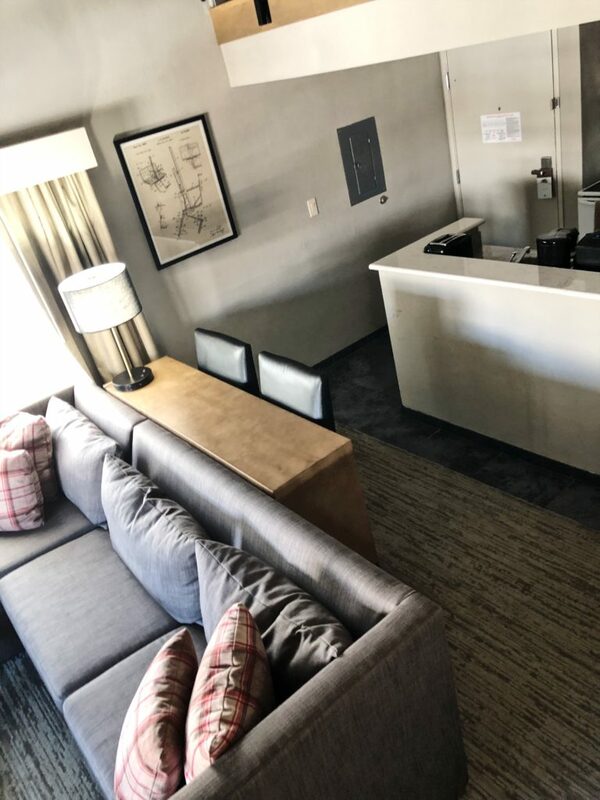 This suite also has a balcony where you can enjoy beautiful mountain views and crisp fresh mountain air to accompany your coffee in the morning. The largest suite offered is the Two Queen Bedroom and 1 King Loft Suite which is another two-level room. 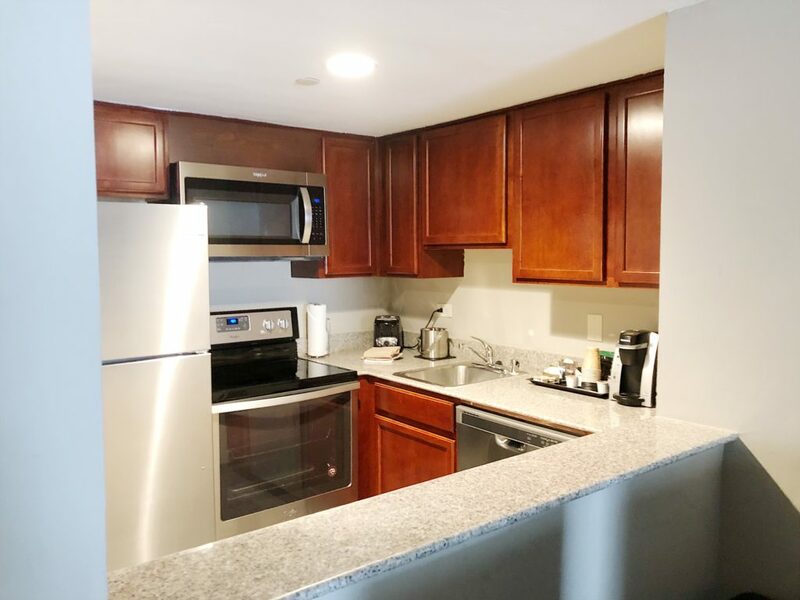 As you walk in you will find a full size kitchen complete with fridge, microwave, stovetop and oven. The living room has a large sofa with a fold out couch next to a lovely fireplace and balcony. There is also a bathroom on the first level. When you make your way upstairs, there is a king bedroom to your left and a bathroom to your right. If you make your way around the bathroom, there is a door that leads to a second bedroom with another two queen beds. This second bedroom has high ceilings and skylights that really make the room feel spa-like and you can just tell you are in the mountains. 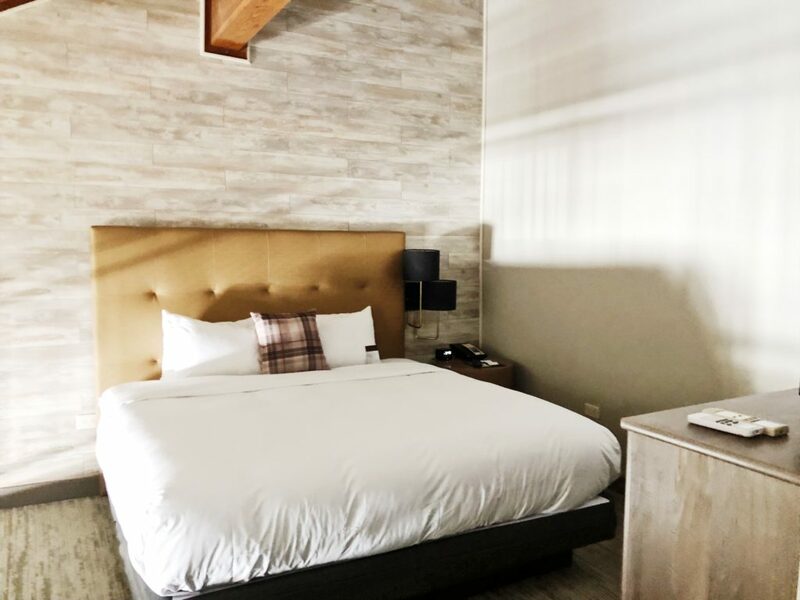 The rooms are so nice that it is easy to settle in and not want to even leave the confines of these amazing spaces. However, there is much to do downstairs that you don’t want to miss out on. Once you get your stuff unpacked, I suggest making your way to Pivot62 in the downstairs lobby. Pivot62 is a lovely restaurant and bar that is a lively place to be after 5pm. They have live music every Friday and Saturday night. 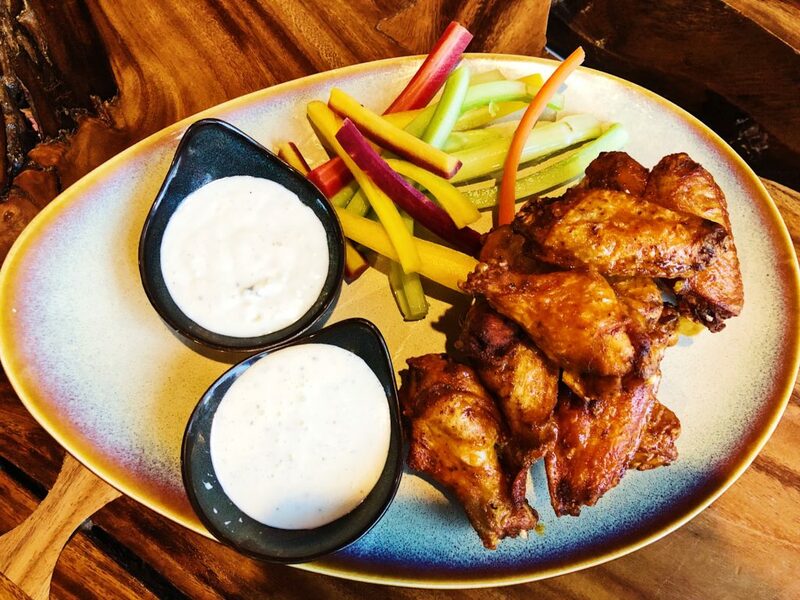 The menu focuses on elevated bar food and perfectly done cocktails. 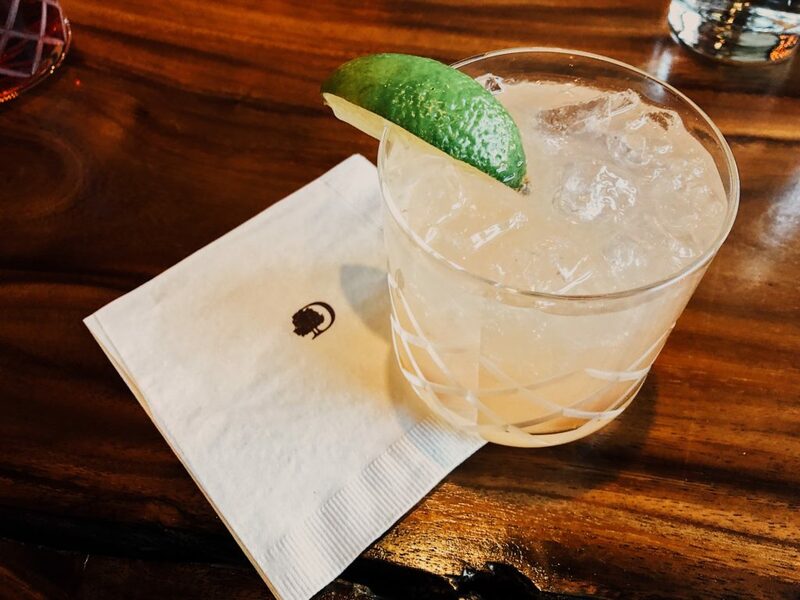 We enjoyed several cocktails over the weekend, but our favorites included the margarita and the negroni. 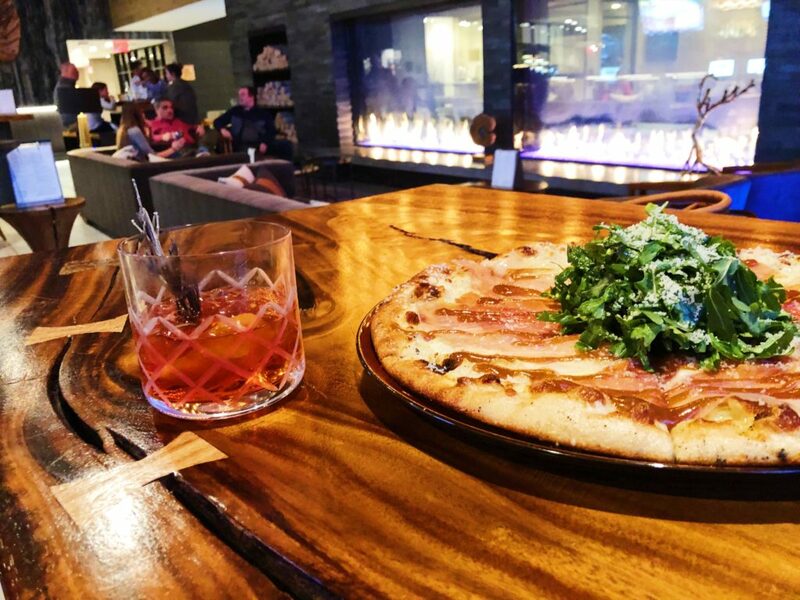 We also enjoyed the hot wings and prosciutto pizza which was topped with fig jam and arugula. I am telling you, once you check in you may not want to even leave the hotel. Once you get livened up with libations, go for a dip in the hot tub or heated pool. 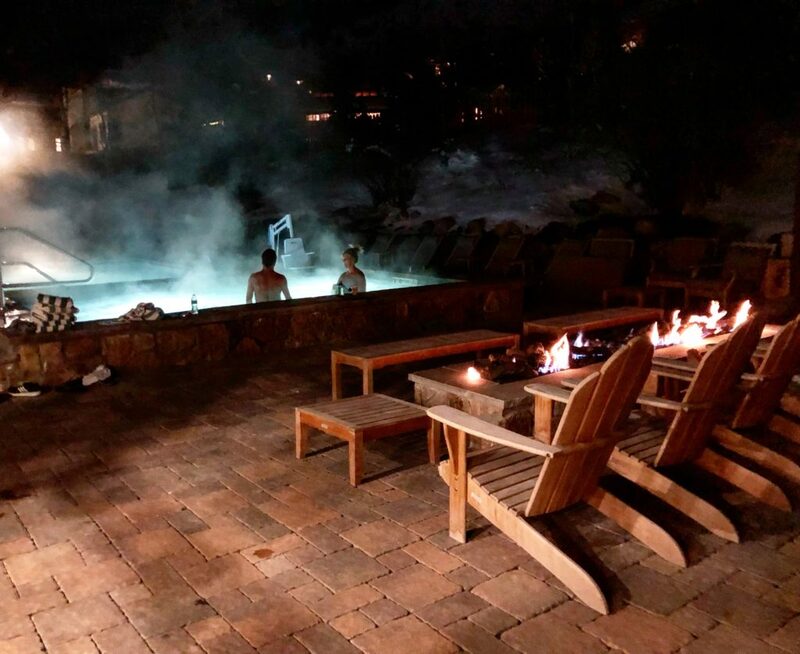 The outdoor spa is lined with chairs and even offers two fireplaces where you can rest and warm your sore muscles. The hot tub is large and could fit at least 20 people. The pool is heated to 85 degrees year-round, so it is warm in the winter if you feel like more of a swim. It is also equipped for handicap guests who want to enjoy the water. Needless to say, DoubleTree does a wonderful job of making you feel comfortable. The beds will give you a great nights sleep so you can wake up and go hard on the mountain each day. 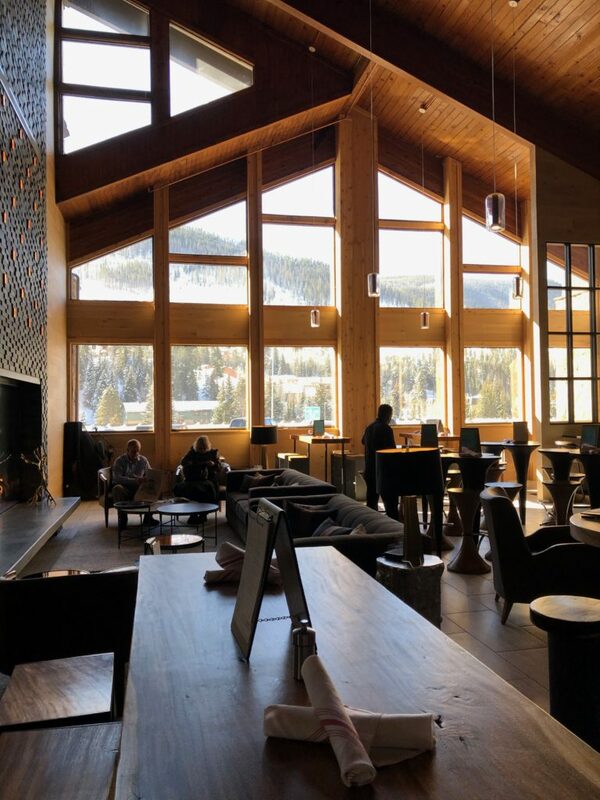 To assist with those who enjoy snow sports, Charter Sports has a location inside the lobby of the hotel. 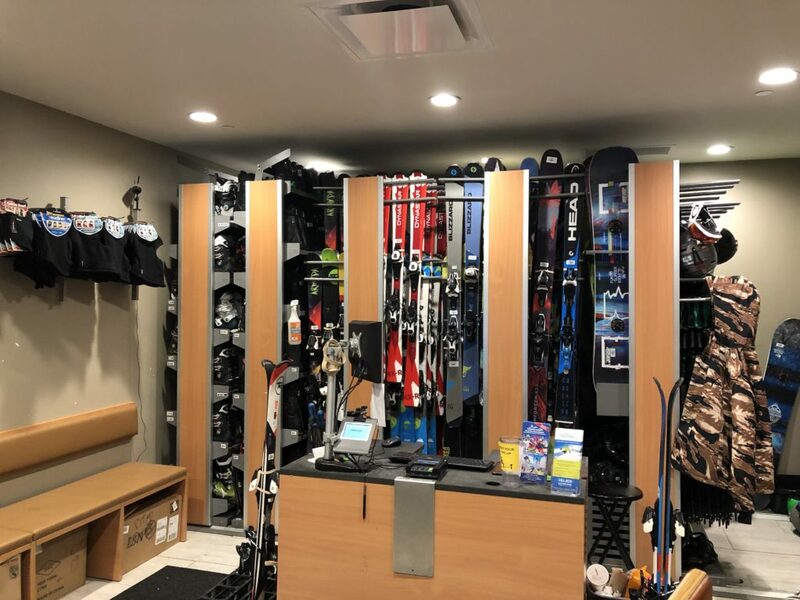 Here you can rent ski boots, snowboards or snowshoes. They have it all and are ready to get you fitted for rentals for your mountain adventure. Not much of a skier? No problem! Wake up and hot the expansive gym. There is plenty of equipment to suit any workout. Next, take advantage of the spa. 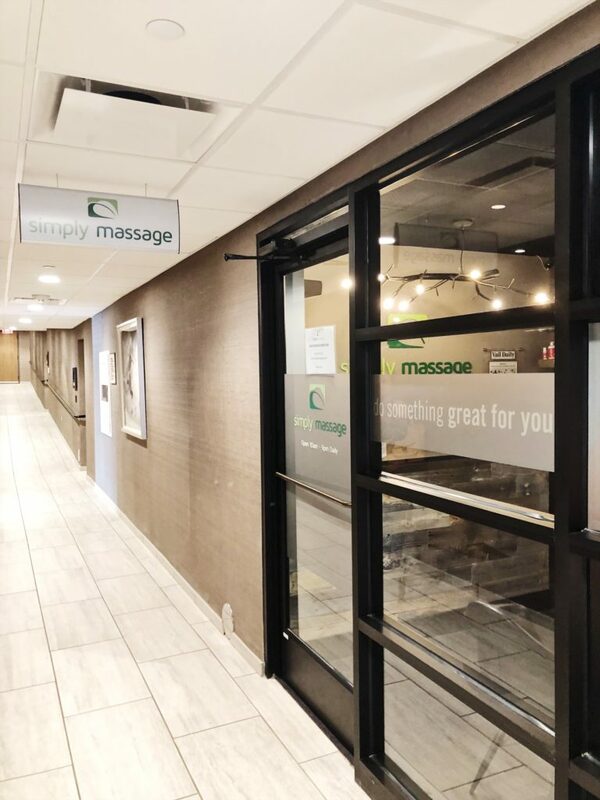 Simply Massage offers massages and facials and is located right next to the guest elevators. You can grab breakfast at the Westside Café. 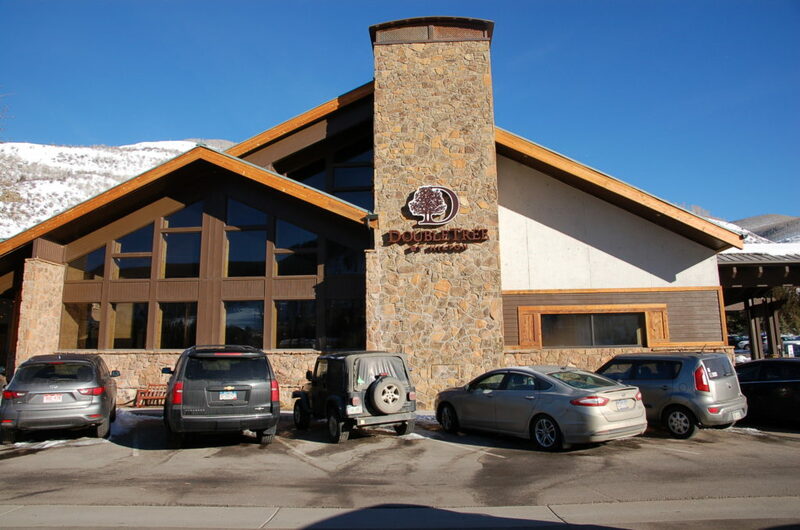 One of Vail’s top breakfast spots. 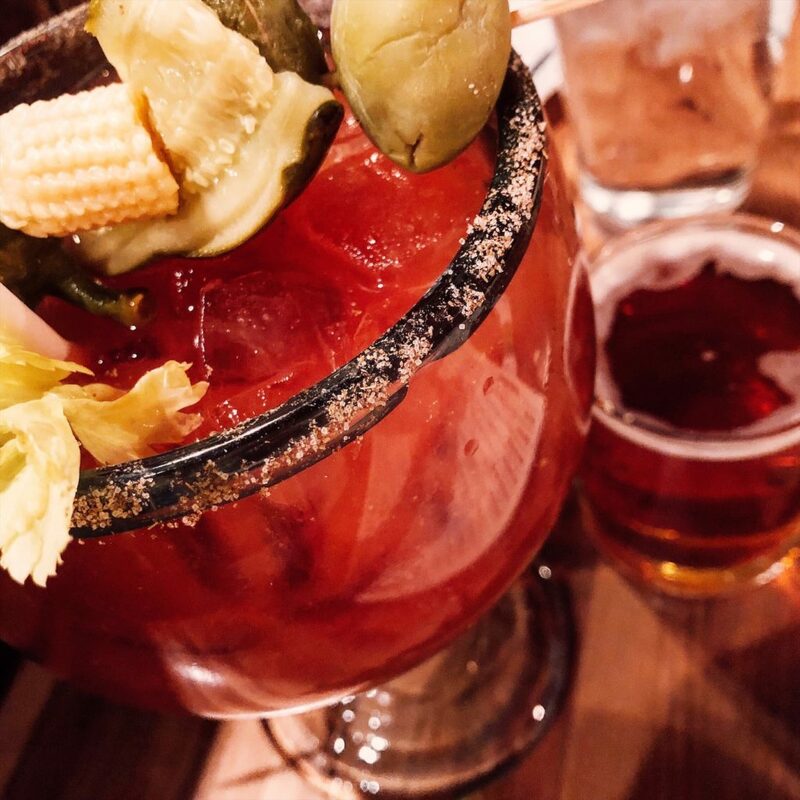 They are known for their humungous bloody mary with a sidecar. Need breakfast on the go? Stop into the Made Market to grab a bagel or coffee before you hit the road. Once you are ready to adventure into town, the DoubleTree by Hilton Vail will have a shuttle bus ready to take you where you need to go. It will run every 15 minutes during rush times and every 30 minutes throughout the rest of the day. 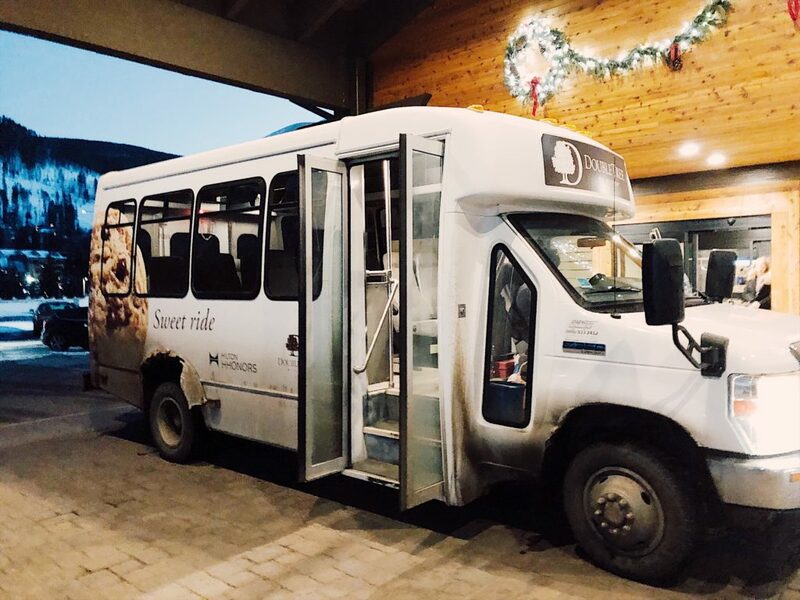 This shuttle will drop you off and pick you up in Vail Village, Lionshead and other requested locations as available. 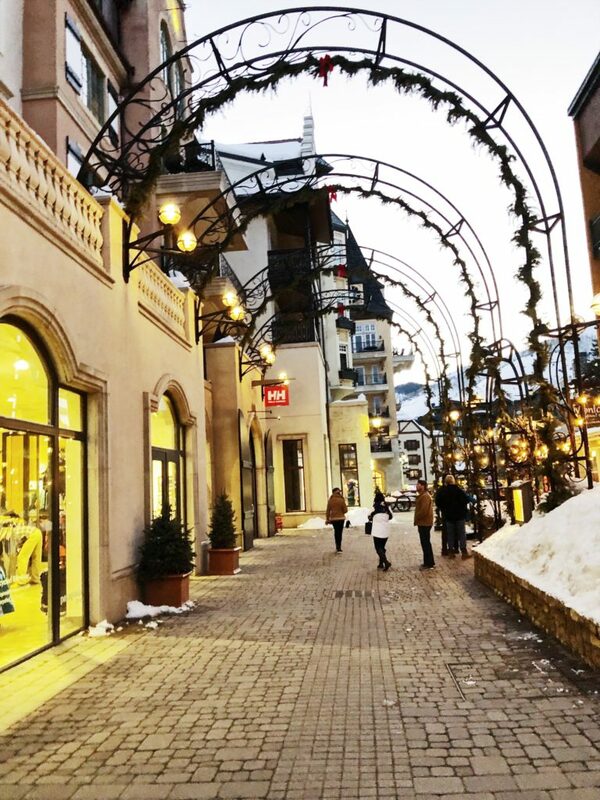 Vail Village is closer to the slopes and is constantly buzzing. You will find lots of patio bars boasting Apres menus in the early afternoons. There is also plenty of shopping here including boutiques, Patagonia and my personal favorite Burton. Lionshead is also fun. This is a little more spreadout and mellow. This area is beautiful. There are bars in the Arabelle that are known for their specials on Veuve by the glass. There is lots of opportunity to go shopping. You can go ice skating in the center of the marketing square or escpae to a hole in the wall for a beer. Personally, I am a fan of Bart & Yetis. This place is super casual and a locals favorite. They even have a shotski if you are feeling like you want to go all out with your friends. It is nice to escape from the crowds and head back to the DoubleTree by Hilton Vail. It is the perfect place to stay when you truly want to escape and have some quiet time to relax. I like that it is not in the middle of the hustle and bustle in the center of town. At the same time, it is still easy to access the places you want to go. The staff at the DoubleTree is notable. They want to make you feel as at home as possible and go above and beyond to make your time enjoyable. From the front desk staff to the servers in the restaurant. Everyone has a smile and is eager to get you anything you need. We couldn’t have had a more relaxing and enjoyable trip. I highly recommend staying at the DoubleTree by Hilton Vail when you book your next stay in Vail, CO. It is a great location and is fit for any number of people in a group. You can go for a romantic getaway with your sweetie, or bring your entire family for a winter ski trip. It is also a great summer stay with a large pool, game room and outdoor space. To learn more and book your next staycation/vacation, visit the DoubleTree at Hilton Vail website. 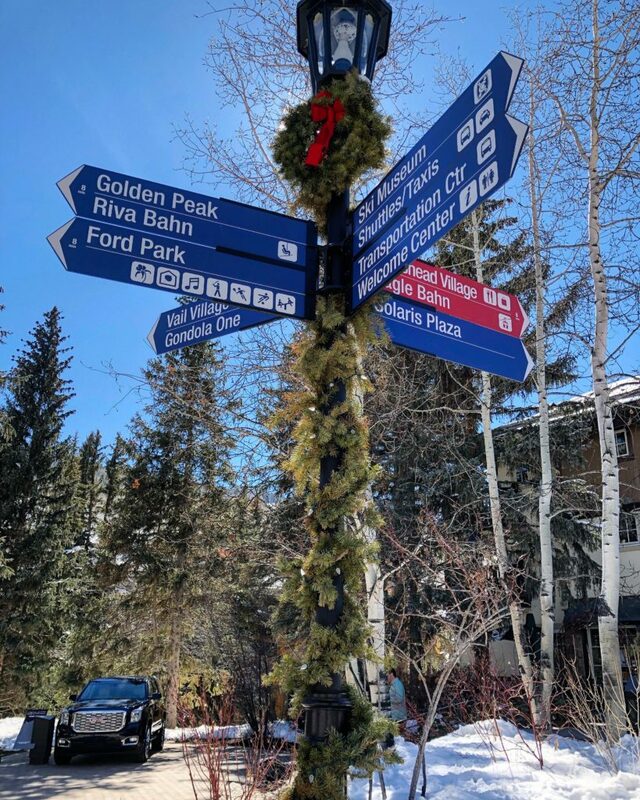 Just moved to Denver less than a year ago and REALLY want to explore Vail. Thanks for the great insights! Of course! This was a lovely stay and I love that everything is so convenient and we were so well taken care of. Plus I love the restaurants attached! It made getting drinks or quick bite super easy!